An 18-year-old Discovery Bay, Northern California, man was charged Tuesday with murder after a 9-year-old boy was stabbed to death Sunday at his home. Prosecutors claimed in court that William "Billy" Shultz used a knife to fatally stab his friend's little brother as the third grader slept. Shultz's family left the courthouse without comment Tuesday after learrning he will not be arraigned in court until Wednesday. "They feel terrible, they feel horrible — their thoughts and prayers are with the family of this child," said Contra Costa County Public Defender Robin Lipetzky, who is representing Shultz. Lipetsky said there was "no question in her mind" that mental illness is what led to this tragic event. In an exclusive jailhouse interview with the Contra Costa Times on Monday, Shultz said he stabbed Jordon "Jordy" Almgren of Discovery Bay to "see what it was like." "I wanted to see what it was like to take a life before someone tried to take mine," Schultz said in the interview. Contra Costa County Deputy District Attorney Paul Graves said prosecutors will not seek the death penalty for Shultz because of his age and because he had no prior criminal record. Shultz was also charged with the special circumstances of lying in wait and residential burglary, Graves explaned that in addition to stabbing Almgren to death on Sunday with a knife, Shultz is charged with taking a car key from a room in the Almgren home and the circumstance of taking a victim by suprise or ambush before killing him or her. Shultz is being held on $1 million bail. Lipetzky said the family did all they could to get their son mental health help. 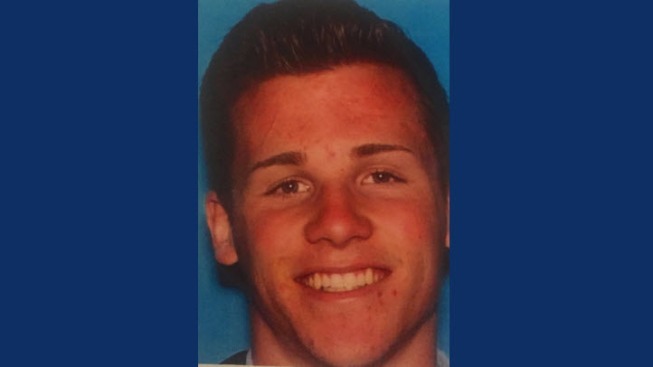 The Contra Costa Sheriff's Department confirms Shultz's family called officers requesting a mental health check less than 24 hours before the stabbing. Contra Costa County Sheriff's deputies said Shultz was briefly hospitalized on Saturday after his family requested an evaluation of his mental health status. "The deputies responded to his house and made contact with Shultz," said Contra Costa sheriff's deputy Jimmy Lee. "Based on their evaluation they said he did not meet the criteria" to be placed on an involuntary mental health hold. According to the California Welfare and Institutions Code, a mentally unstable person can only be detained if they show signs that they are a danger to others or themselves. Still, Shultz voluntarily agreed to be taken to the hospital and was later released by a doctor, deputies said. He went to sleep at the Almgren home on Saturday night. There were others sleeping at the home too, Graves said. On Sunday morning, deputies say Shultz stabbed the boy about 10 a.m. at his Discovery Bay home in the 1800 block of Frost Way. About 3 p.m. that same day, Schultz was arrested at a Kaiser hospital in Antioch after an alert nurse recognized him from social media and alerted authorities, Contra Costa County Sheriff's Deputy Ken Westermann said. Shultz suffered two stab wounds on his wrist, according to the Contra Costa Times. Attempts to interview Jordon's parents were unsuccessful.